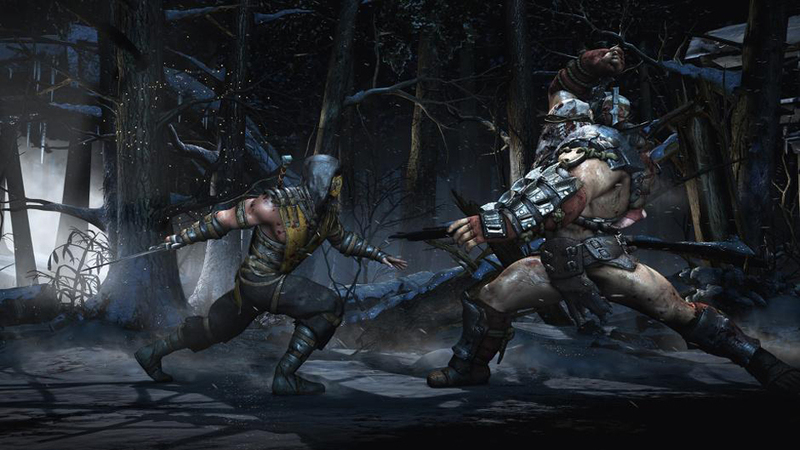 Loads of new features in “Mortal Kombat X” are sure to perk your interests. After the high success of “Mortal Kombat 9,” the highest selling in franchise history, Ed Boon and his team at Netherrealm Studios had to bring the best “MK” possible. “Mortal Kombat X” brings a lot of new things to the forefront with even more brutal Fatalities and X-Ray moves, a focus on newer characters and environmental interactions. D’Vorah and Ferra/Torr are two (and a half) of four new characters announced. These two are the ones being showcased the heaviest currently. D’Vorah is a half human half insect that uses her stingers quite skillfully in “kombat.” Ferra/Torr is a single slot on the roster that features a duo working together. Ferra is a lady who’s the brains that controls the muscle that is Torr. Kotal Khan and Cassie Cage, daughter of Johnny Cage and Sonya Blade, were two other characters announced. And Scorpion and Sub-Zero are part of this early six-character roster as you may already know from the “Who’s Next” reveal trailer. Taking a look at the number of spaces during character selection, you can can see that there are 18 slots, but that’s not the interesting part. Each character has three different styles that you pick and are locked into through the entirety of the fight. Scorpion has Ninjutsu which puts an emphasis on sword-based “kombat,” Hellfire which deals with a lot of projectiles and other fire related combos and Inferno which deals with summoning demons to assist you. Having three styles for one character can cause for a vast range of strategy and skill. Although the initial roster of “Mortal Kombat X” is 18 fighters, the fact that each has three different styles causes for that number to feel significantly larger. Complementing all of the new fighting mechanics are all the new environmental interactions. Two stages that were shown off were “The Cove” (creator Ed Boon says it’s misspelled) and “Outworld Market.” Players can jump off walls or tarps to evade enemy attacks near the outer limits of both stages. There’s also dead bodies and old ladies you can use as projectiles, and even tigers to spring off of. Environments definitely have a say in how fights will play out here. Players should note that all the normal cringe-worthy X-Ray moves are back as well as breakers and special moves, all powered by a newly refined power meter. “Kombat” is fluid and seems to never drop the fast pace. Sub-Zero is a lot more versatile this time around, using hammers, swords and an ice clone of himself all as effective weapons. The game is running at 1080p at 60fps on PS4. There is currently no release date for the game, but you can expect to crack a few ribs in 2015. 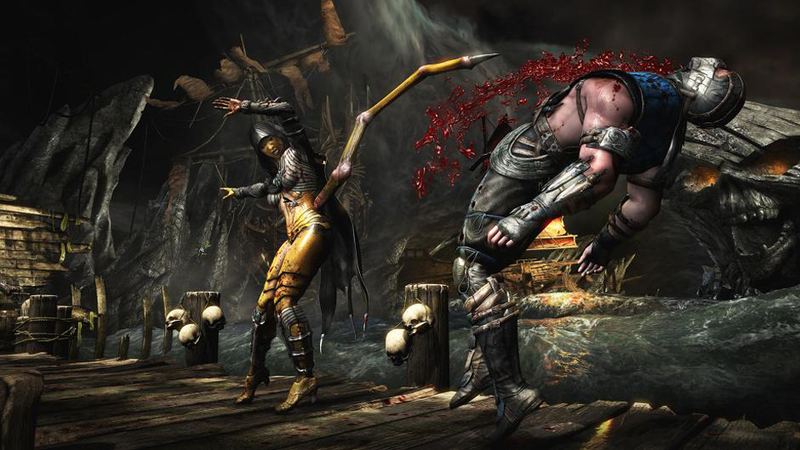 What old characters do you want to see return in “Mortal Kombat X?” What’s your favorite new character? GET OVER to the comments and leave one below.